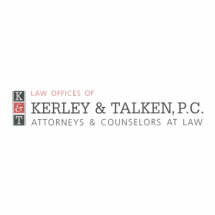 The attorneys at the Law Office of Kerley & Associates provide dedicated and knowledgeable legal representation. From our office in Springfield, we represent clients throughout central Illinois. Personal injury: We represent people who are injured in car, truck, motorcycle, and bicycle accidents, lip and falls, medical malpractice, legal malpractice and other types of injuries involving negligence. The insurance company will not look out for your best interests if you are injured. Our lawyers will. Divorce and family law: Legal issues involving your family can be difficult to solve without a legal advocate in your corner. Our lawyers will guide you through the legal steps of divorce, a child custody proceeding, paternity action or other family law matter. Estate planning and probate: Planning your estate can prevent unintended consequences for your loved ones. Our lawyers will tailor your estate plan to your assets, your family and your goals by preparing the proper Wills, Trusts, Powers of Attorney, and Living Wills. We also represent families and personal representatives in probate proceedings. No matter what legal issue you are dealing with, we offer a free initial consultation to discuss your case and answer your questions. To schedule a consultation with a caring lawyer at the Law Office of Kerley & Associates, call 217-814-0148.